For more information about HomeVestors of America opportunities, call 800-230- 0385 or visit www.homevestorsfranchise.com. We care about and focus on the franchisees’ success. We include and value franchisee input. We have a great team of staff that hold the same values. The ability to relate to a seller and help them solve a problem. Passion to learn the real estate investment business. A desire and drive to be successful. Our culture is based on Team. Teamwork is a core value of the company. Our franchise network works together – franchisees helping each other become more successful. First is listen to the franchisees. The best ideas come from franchisees. Second, give a clear picture of the future. Five years ago we talked about how HomeVestors would be at over 1,000 franchises in five years, and we better be ready to support the growth. Now we are focused on being ready for the next 1,000. I am most inspired by seeing the success of our franchisees. I have never been around a better group of people than our franchise leaders. We tend to attract good people that care about helping others and participating in a team environment, which in turn attracts more of the same type of people! 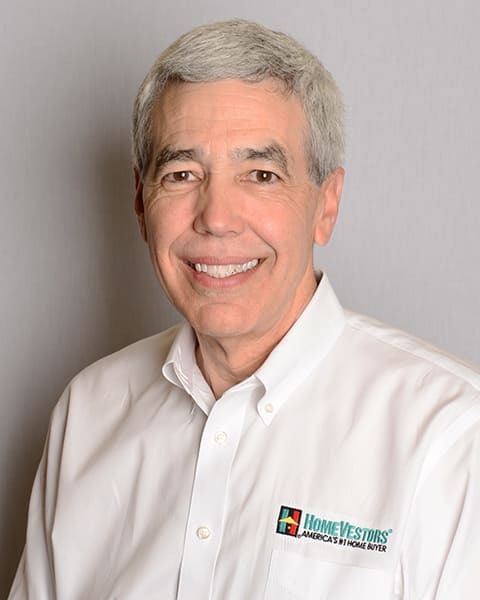 Learn more about HomeVestors of America franchise opportunities here.